A Nanny is an employee in a private family who takes full care of a child or several children from their birth to early childhood. Nanny may be in sole charge and look after the children alone, as well as sometimes work in the presence of the employer. 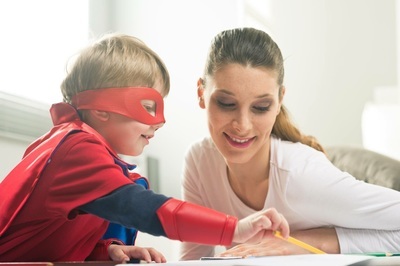 The majority of nannies registered with Morgan & Mallet Nannies have on average between 3 and 10 years of experience, hold a diploma in early childcare and at least First Aid Level 1 certificate. The candidates are also monolingual, bilingual or trilingual and can travel with the children and family during school holidays or throughout the year if required. It is essential for our agencies that our candidates are well trained and qualified for the position and can adapt to the needs of the given family so that the parents may completely and utterly trust the nanny with their children’s wellbeing. Each nanny position differs depending on the age of children, the role within the family, required profile and experience, and assigned responsibilities. Taking to and collecting them from nursery, primary school, after-school activities, etc. Morgan & Mallet Nannies place and recruit nannies for temporary, seasonal and permanent positions, both full-time and part-time. Please feel free to contact our recruitment team and receive answers to all your questions. Looking for a Nanny position?